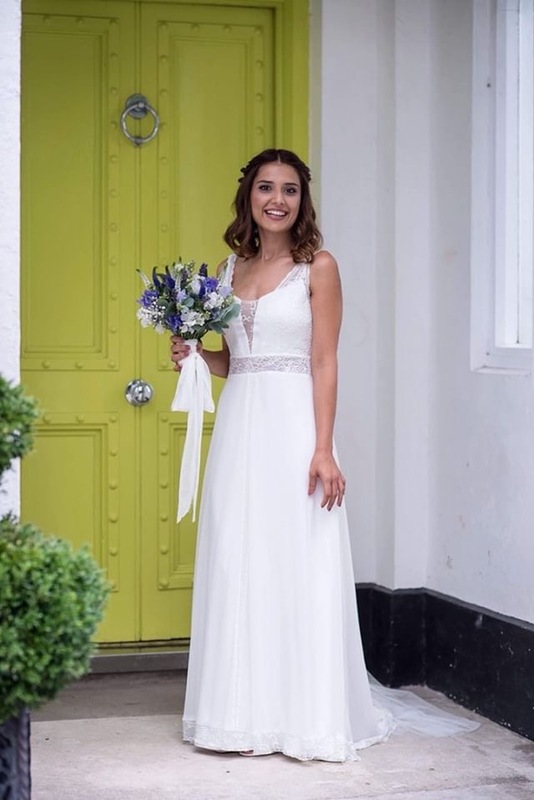 Meet Isilay, a beautiful "Rembo Bride" who came to us in summer 2018, with her First by Rembo Styling dress. 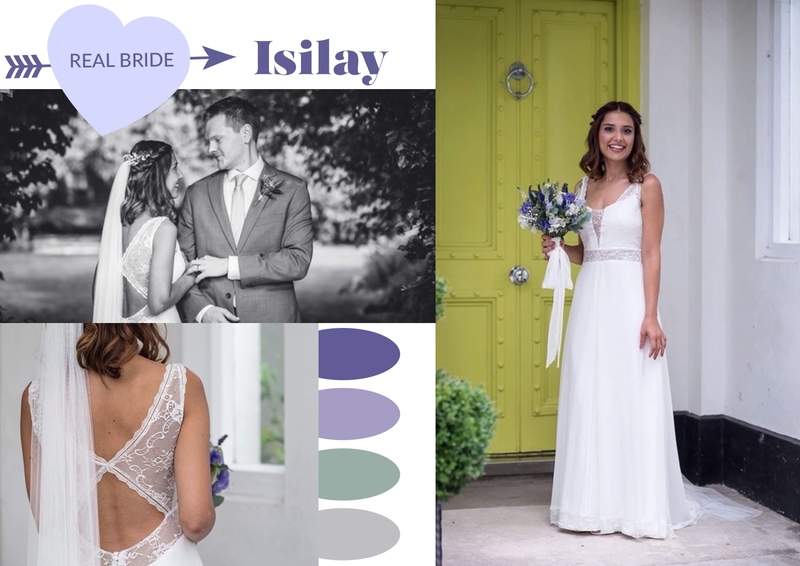 Isilay came to us with a beautiful dress called First, by Rembo Styling. Rembo Styling is renowned for making couture wedding dresses with a boho-chic look. 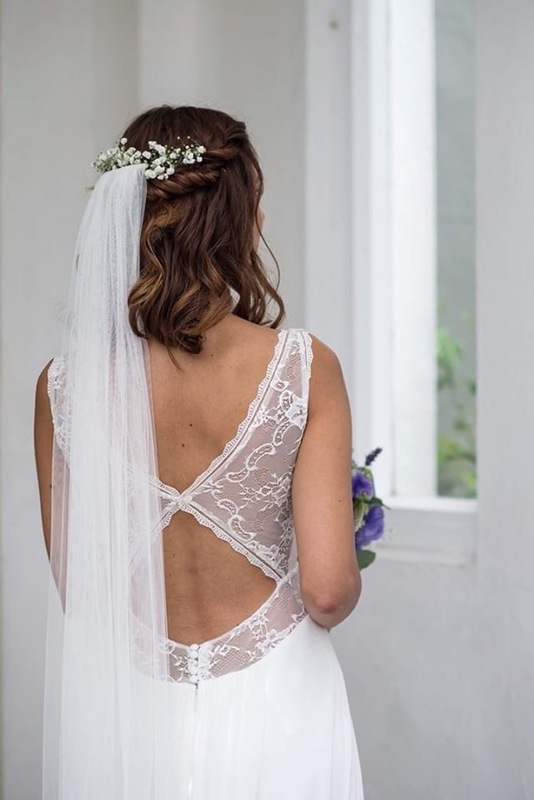 Their dresses use quality fabrics and lace, and typically flow beautifully with a lot of attention to the small details, both inside and out. They are designed with passion in Belgium and made with love in Portugal. We love working on them, right here in Sussex! As Isilay has such a petite figure, we completely refitted this Rembo dress to her fit her perfectly. 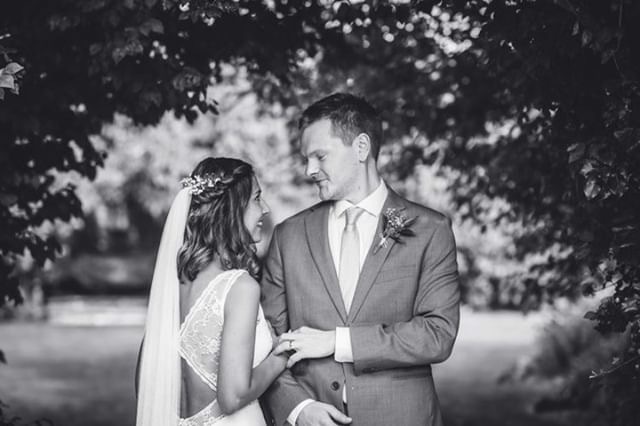 Isilay wanted to wear a veil, but didn't want it to overtake the beautiful lines and details in her Rembo dress. 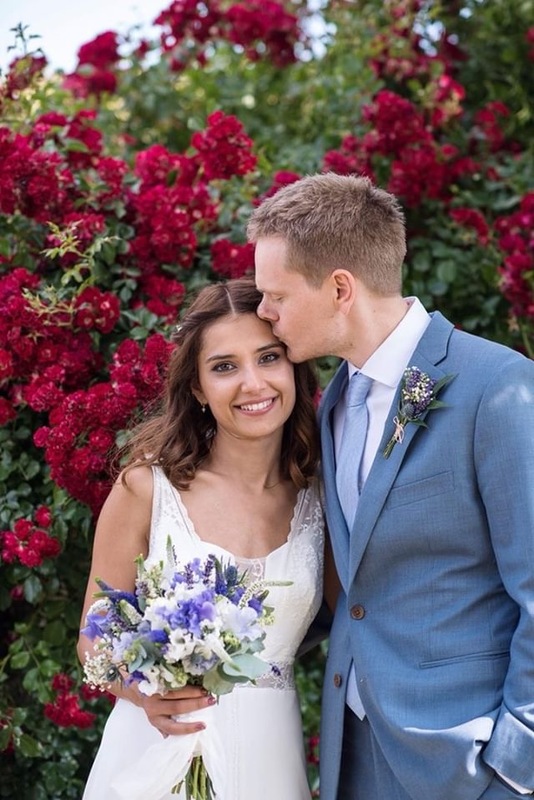 We created a soft tulle veil that she wore in her hair with a simple arrangement of gypsophila. The result? A classic #rembobride! Chris managed to convince me one day to go for a barbecue in a local park where we had our first date. It borders the university where we both work and where we first met. When we got to the park he pulled the car over and said that there was something he had noticed last time he was there that he wanted to show me. We got out and walked to the edge of the park where it met with the university campus. Confused and now a little hangry, I asked him what all the fuss was about? He proceeded to turn me by my shoulders and pointed to a hill in the distance and said, "That is where we had our first date". He turned me again and pointed at our campus and said, "That is where we first met." I turned around then, still confused, and he was on one knee and said, "This is where I ask you to marry me." Of course, I said yes! Still nervous and shaking a little, he then put the ring on the wrong finger! I forgave him for that though! "And the big day came after a long and exciting wait. Given that I tried the dress only twice (once with Delphine and once at home), I was feeling very nervous before I put it on. However, after the short make-up and hair session with my sister, I put the dress on. I felt like a real princess, and also it was super comfortable. The back of the dress not only blew my husband away, but the guests were also very surprised by it while I was walking down the aisle, holding my Dads' arm. We were in the stunning outdoor ceremony area underneath the Mulberry tree at Pangdean Old Barn. Everyone was shaking the person next to them and pointing out my back and saying "look at the back of her dress!" The dress and Delphine's touches to it made me feel great. I managed to dance crazily in that dress for hours as Delphine Couture fitted the dress to me really well."